Shaun Scott, "Millennials and the Moments That Made Us: A Cultural History of the U.S. from 1982-Present"
A generation on the move, a country on the brink, and a young author's search to find out how we got here. 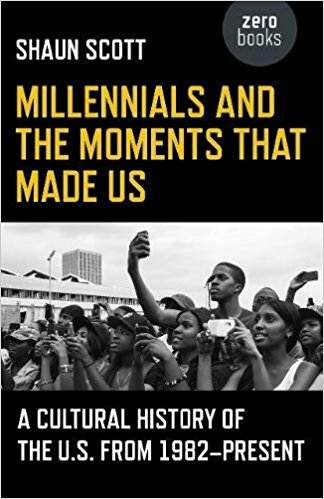 Millennials and the Moments That Made Us is a cultural history of the United States, as seen through the eyes of the largest, most diverse, and most disprivileged generation in American history. The book is a relatable pop culture history that critiques the capitalist status quo our generation inherited - a critical tour of the music, movies, books, TV shows, and technology that have defined us and our times.